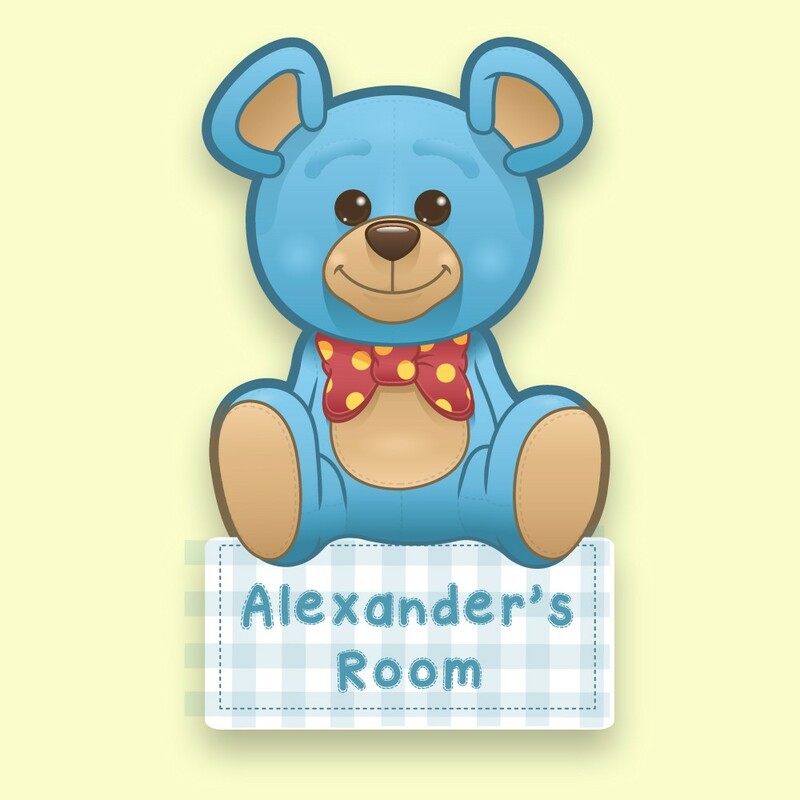 When anyone sees this little Blue Teddy Bear Door Plaque on your little one's bedroom or Nursery Door then there will be no doubt as to who's room it is! Designed and printed "In House" by Forever Bespoke and laser cut to shape. 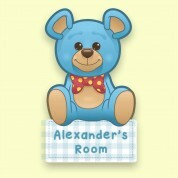 Your personalised Door Plaque is made to order and therefore we can add any name - up to 12 characters. To avoid unecessary weight and to also ensure vibrancy of colour and design, we have UV printed the design onto 3mm Opal Perspex. Supplied with sticky pads for assebly.